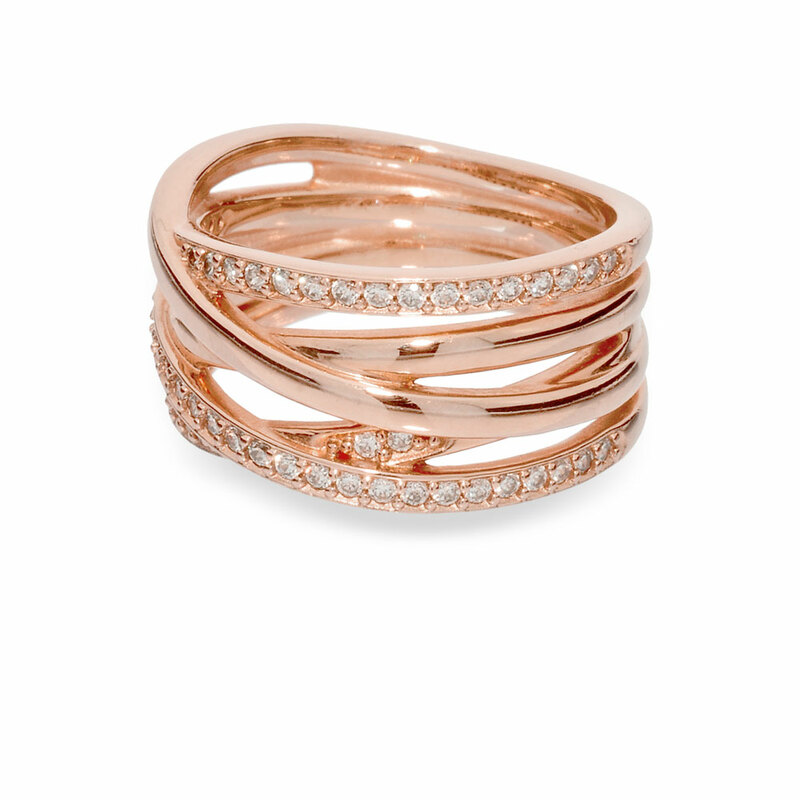 The entwined strands of lovely pink metal with twinkling stone details, form a modern statement ring that will upgrade any outfit. PANDORA Rose is composed of a unique blend of metals and is available online or in concept stores. PANDORA Rose Entwined Ring is rated 5.0 out of 5 by 32. Rated 5 out of 5 by Mom5 from Beautiful! My husband surprised me with this beauty for Christmas! It's even more beautiful in person. I would highly recommend! Such an awesome piece to have, and the Rose Gold is amazing. Rated 5 out of 5 by Cicilou13 from Beautiful. Im in love! I just love this ring. Perfect if you like uniqueness and thickness. Constantly receive compliments. Rated 5 out of 5 by Stacie from Love this ring!! My husband bought this ring for me for Valentine's Day and it is beautiful! I love rose gold and this is simple and perfect. Order a size larger than normal because it is a wide band ring. Normally wear a 6 in regular bands, got a 7 and it fits perfect!! Rated 5 out of 5 by Martitai from Great product I bought a ring from this site, it came just in time. And so beautiful. Rated 5 out of 5 by Forsythe Jones from Beautiful and elegant I bought this ring for my mum for her birthday, and she absolutely loves it. The only thing is that with these thicker banded rings we've found that we have to go up a size or two depending on the shape of the piece. Rated 5 out of 5 by Grandma11 from Absolutely beautiful I'm in love with this ring! Good quality, very comfortable to wear.Lots of compliments on it! Love PANDORA!! !